My name is Lorena, and I’m so glad that you’re here! I hope you enjoy reading Bookwyrms as much as I do creating it. 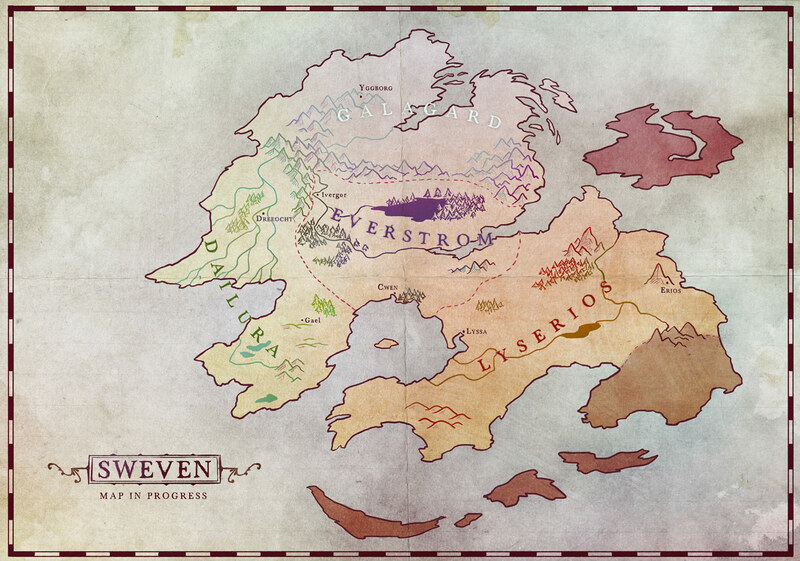 This is a first stage of the map containing the relevant part of the world for this story. I will be updating it with more information as soon as the plot needs it. Haha, thank you, Michael! Same happens to me, actually 🙂 Thank you for reading! Wonderful start. Great hook. exceptional art, nice pacing and a cogent story. Really looking forward to your updates. Quite like the map! Nicely illustrated. Thank you so much! 😀 Sorry that I didn’t get notified about this commment before!! So I decided to take a quick look at this comic out only because I saw a banner of it over at Small Trolls… And the first page is a map. I love maps. Schoolwork can wait, I’ve got a comic to binge-read. Haha, such a nice coincidence! I’m glad you like the map, thank you 🙂 That show you mention sounds very interesting! This map looks very nice, good job!